The TVS Jupiter is celebrating its first year anniversary, and now the company has announced a special edition of TVS Jupiter to mark this event. Special edition TVS Jupiter has got some pretty new features and has a new paint shade. 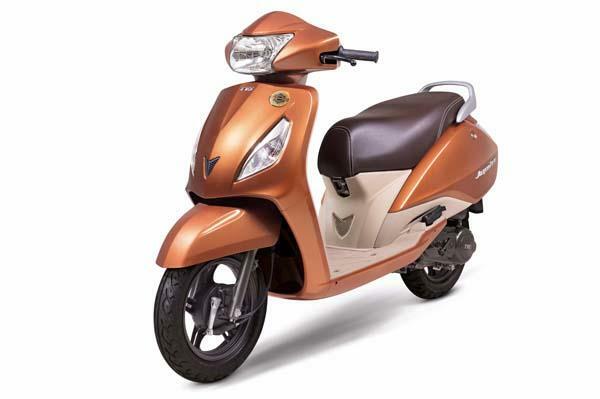 Very limited numbers of the TVS Jupiter scooter would be manufactured. What’s new with TVS Jupiter Special edition? Jupiter carries a new sticker on the front. Durability of the beige elements is known only when one rides in dusty roads. Brand new seat called as ‘Dura Cool’ seat- the seat which retains lesser heat when compared to normal seats. TVS Jupiter special edition is priced at Rs 48,925. (Ex-showroom, Delhi). said K N Radhakrishnan, CEO, TVS.